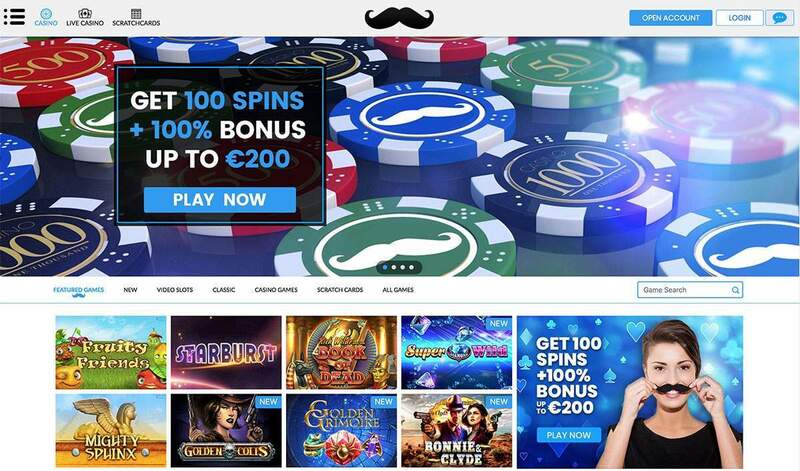 Mr.Play Casino is an online casino that has a lot to offer. Players will have access to titles from some of the biggest names in the industry like Play’n GO, Thunderkick, NetEnt, Microgaming, NextGen Gaming and many others. Games can be reached instantly through a web browser or on the go and the site can be played in English, German, Swedish, Norwegian and Suomi. Mr.Play Casino is licensed and regulated under the laws of Malta and the UK Gambling Commission. At Mr. Play Casino you can receive a nice welcome bonus when you sign up and make a first deposit. This bonus contains 100 Bonus Spins, plus a 100% match on your first deposit up to a sweet €200. The bonus has a wager of 35. Players who enjoy video slots have a large selection to choose from with titles from gaming suppliers like NetEnt, Microgaming and Play’n GO. The casino is home to some of the newest and popular games in the market with a range of themes to suit all. Titles include many all time favorites like Book of Dead, Moon Princess, Fruit Warp and Raging Rhino but also a big selection of the newest titles. Players that enjoy table games can feast on blackjack and roulette games including Roulette Pro and Blackjack Solo. In addition to that, members can pick from multiple Scratch card games for added entertainment. The live casino at Mr.Play Casino is more diverse than most and pretty big. Players can enjoy real-time gaming broadcast from a professional casino studio with 5 different games to choose from: Live Baccarat, Live Blackjack, Live Roulette, Live Keno, and Live Lottery. All of the games are dealt to professional standards and have interactive features for a more social gaming experience. Players can also have a go at famous games like Dream Catcher. Many of the games at Mr.Play can be enjoyed on the go thanks to its HTML5-compatible mobile platform. It works with almost all modern smartphones and tablets, including iOS and Android devices. No downloading is needed and players can count on a virtually identical gaming experience. The casino uses a high level of encryption to ensure players’ personal and financial details are always kept secure. A random number generator is also used and tested by iTech Labs to ensure their games are fair and random. We do find the withdrawal limit of $7000 on the low side and also this casino should offer manual flushing. Afghanistan, Antigua and Barbuda, Asia, Australia, Belarus, Belgium, Bulgaria, China, Cyprus, Denmark, Estonia, France, Georgia, Greece, Hong Kong, Hungary, India, Iran, Iraq, Israel, Italy, Latvia, Libya, Macau, Montenegro, Netherlands Antilles, Philippines, Portugal, Romania, Russia, Serbia, Spain, Sudan, Syria, Turkey, Ukraine, United States.